The Camden County Covenant for Children, Youth and Families is a framework within which the County and its Partners are collaborating efforts to meet the goals within Early Childhood Success, Positive Youth Development and Strong Families/Strong Communities. These efforts coordinate resources, information and opportunities for children to reach their full potential as responsible and productive members of their community. The Freeholder Board is sponsoring a Children’s Bill of Rights to insure that all children have a safe and nurturing environment in which to develop into adulthood. 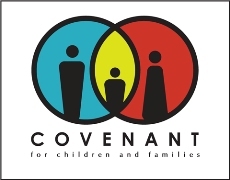 The Camden County Covenant for Children partners include: the Freeholder Board, Camden City Officials, the Community Planning and Advocacy Council (CPAC), the United Way of Camden County, the Center for Family Services, the Hispanic Family Center, Respond, Inc., the Commission on Child Abuse & Missing Children, DYFS, educators and community leaders.